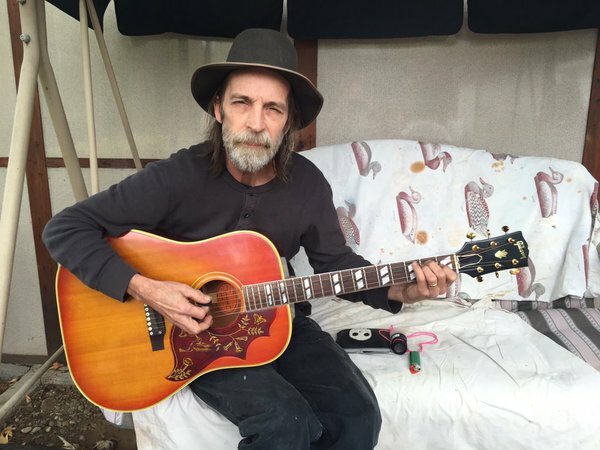 In our first episode we let you all know how amazing we thought Jimmy Abegg was at guitar and songwriting. But then we realized many of you may not even know what we mean. In order to remedy a lack of Jimmy A's music in your life we put together a list of much of his work. Below are various videos of Jimmy playing and links to where you can stream his solo albums and his albums with the band Vector. Also included are his times with Mullins and the Ragamuffins, with Charlie Peacock and Vince Ebo, and with Steve Taylor and the Perfect Foil. Let's hope Jimmy is able to put out more music in the future! First, you should check out one of Jimmy's more recent works, The Beatitudes Project: https://www.thebeatitudesproject.com/ . Jimmy's art is featured on the album cover and he recorded guitar parts for many of the songs. "Rubberneck" by Steve Taylor & The Perfect Foil from Michael Tolosa on Vimeo. Jimmy Abegg’s “Entertaining Angels” album: https://www.youtube.com/playlist? I think I have really come on the right place for getting the perfect info I think I have really come on the right place for getting the perfect info https://www.cheapest-concert-tickets.com/tickets/killswitch-engage.html .. I have saw first episode and i am impressed by his guitar skills. He play it very well. I will check the other episodes very soon. Do you know which Latin music albums are doing great on Billboard top as far as popularity and sales are concerned BeeJayBiGGz.. This is quite recently the data I am finding all over the place. A debt of gratitude is in order for your blog, I simply subscribe your blog. This is a decent blog.. I needed to thank you for this incredible read!! I unquestionably getting a charge out of each and every piece of it I have you bookmarked to look at new stuff you post. Tik Tok Music Good to become visiting your weblog again, it has been months for me. Nicely this article that i've been waited for so long. I will need this post to total my assignment in the college, and it has exact same topic together with your write-up. Thanks, good share. If you are looking for an app to watch movies then you should give Cyberflix TV app a try. You can install it on multiple devices like your Android smartphone, PC or even Firestick. You have to pick a wholesaler like Tunecore, CDBaby or DittoMusic. I've composed a survey of these wholesalers so you can spare some time and continue practicing. A standout amongst the most ideal approaches to get simple acknowledgment and advancement for your music is by structure a network on SoundCloud.